it's fall ya'll! now, if we can only get the weather to cool down it will be perfect!! i hope you are all doing well, it has been a week or so since i have written a blog post. 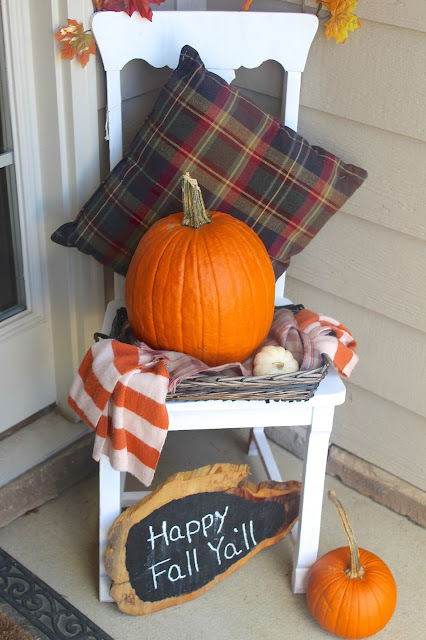 we have been so busy with family things going on and moving my brother who moved from memphis to nashville, (we are so excited about that) that i am just now siting down to share my fall porch decor with you. i hope you are all as excited as i am about putting your fall decor up both inside and outside. i have only 1 more thing to do with the inside and that will be coming this week as well! 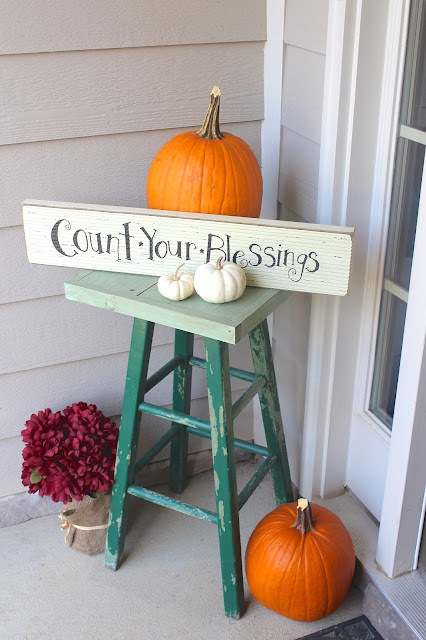 but i wanted to start by sharing our porch decor with you. i found several great pieces for the porch this season. several of these finds are from flea markets and antique stores with a mix of store items as well. we scored the chair at midland's antiques in indianapolis and the green bench/table came from the antique market in nolensville. everything else is pieced together from different antique stores and goodwill. i found the wreath at "at home" stores, which i love how it brings all of the colors together. 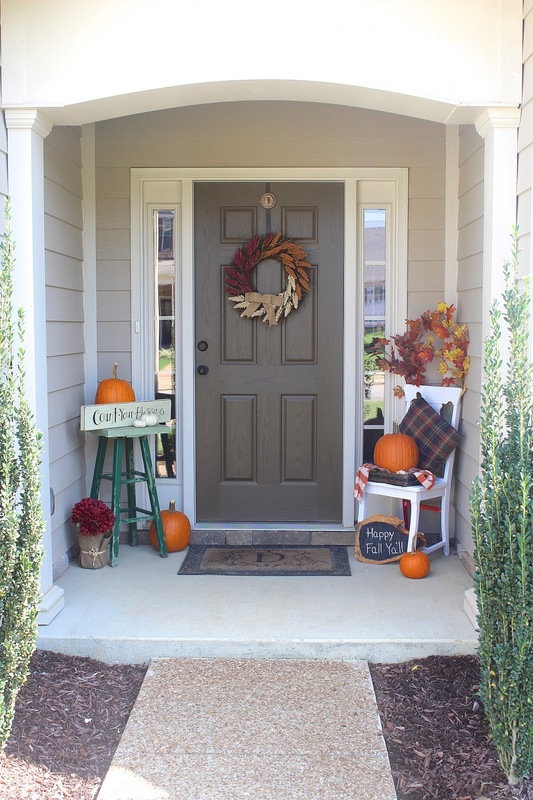 Okay, I LOVE your front porch and you have totally inspired me to make mine cute and festive too!! I especially love the rustic old stool with decor on top...such a great idea. 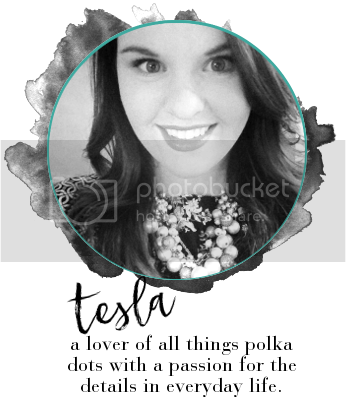 I am so glad you like it :) thanks so much for the post! !